RS systems are separate from the USOS systems. I was only talking about the USOS hosting a module. The USOS ECLSS system is integrated and uses the OGS for O2. Either way, I understand the reservation and you are probably right. I am still not 100% that it is so impossible though. The idea of expanding the ISS with Bigelow modules is certainly not new. I have seen it before. Bigelow modules are not the only option. The point of this thread is that comercial suppliers will have to offer alternatives and to compete as they do in ccidev. Bigelow has the advantages of being there, being partially tested and being expandable thus allowing more volume. -It has been stated that a cygnus pressurised module can be fitted to stay connected to a station as a parasitic module with minor tubing aditions. A station that will utilize such a method could grow bigger with every cargo ship coming. -Shenzu ships has an orbital module like suyoz ships, only that it has two airlocks, allowing it to stay active and remain as a part of the station after the crew dispatches. -A hard shell station module is more robust than an inflatable one. Maybe that the good old fasion modules are just better. -The second stage of the falcon does most of the way up only to be turned back again. Can it be used as a module or as propultion for a station? Wet launch? That may seem like too much, but then again it was the idea for skylab. SpaceIslandGroup took that idea to extreme and might have had a station working by now if the shutle program didn't tragicly stoped. I'm sure that there could be many good ideas if it was offered to the private sector instead of the ultra conservative agancies and thats why it has to be an open comercial contract as sugested here. And it has to start asap because the ISS is a dead end project. 1. -It has been stated that a cygnus pressurised module can be fitted to stay connected to a station as a parasitic module with minor tubing aditions. A station that will utilize such a method could grow bigger with every cargo ship coming. 2. -The second stage of the falcon does most of the way up only to be turned back again. Can it be used as a module or as propultion for a station? Wet launch? That may seem like too much, but then again it was the idea for skylab. SpaceIslandGroup took that idea to extreme and might have had a station working by now if the shutle program didn't tragicly stoped. 2. The wet workshop is a fallacy. Not viable until there is a substantial presence (much more than the ISS) in LEO to support the conversion. Where would these additional Cygnus modules attach to? Ok, so now I am even more confused... So the ROS ECLS systems are separate, but a docked Bigelow module cant have separate ECLS? I was not set on an USOS hosting a Bigelow module. I was more thinking about adding a new, additional PMA ( or something similar to that) and then berthing the Bigelow (or some other commercial ) module(s) to that. The Russians also have plans to extend the life of some of the ISS modules beyond the rest of the ISS and build their own space station (OPSEK) on that. IIRC, they want to use it as a sort of LEO base and for testing technologies and assembly of spacecraft for BEO missions. Thats for the competitor to offer. I would sugest that they may attach to each other on a few paralel chains. I have no reference, sorry, I was only sugesting. I know that Bigelow argue that the wall thickness and meteorite shielding is better, but can it suport equipment? Can you hang a picture on the wall? It might turn out that it is easier to design and operate a hard shell station than an inflatable one. Sadly, there is no real experince with expandables yet. I know that Bigelow argue that the wall thickness and meteorite shielding is better, but can it suport equipment? Can you hang a picture on the wall? Can you hang a picture on the wall? It doesn't if there's a spare vehicle attached to one of the stations. The spare could be in the rotation so when a new vehicle comes up it becomes the spare. The price of the flight from the ground to the commercial station is totally off topic for this thread. It's not off-topic because everything about the possible station depends on the price of the flight from the ground. I like what Jon had to say about free flyers. Done properly, there shouldn't be much need for a crew member to don a spacesuit and go outside. Think of the UAV fliers. They sit in a comfortable flight station and fly their aircraft from half way around the world. There's no reason we can't do that same kind of thing with a properly designed free flyer for telerobotic operations all around and on the station exterior. Commercial station designers ought to include 1 or 2 such stations in their designs. ISS would have greatly benefited from such operations. It's still "eyes and hands on the mission", just from inside the station instead of inside a spacesuit outside the station. If surgeons can perform delicate telerobotic operations on a person from thousands of miles away using properly designed "hands" and tools, there's no reason we couldn't do the same kind of delicate missions telerobotically, but from inside the station, instead of outside. There's no need for the operators to be inside the station, they can be on the surface of the Earth. I don't know if the most productive discussion is looking to build from existing parts, as defining what you need. I do have a couple of ideas, that might or might not lower costs. And I'll discuss them later on. But I would like to state what I think would be the correct approach to actually define what to cover with the station services. I might not have made it clear, and it has been discussed here, but I'm assuming that it will privatize all NASA's LEO needs. This means, also, that NASA would be the main (and probably more sophisticated) client. 1) Microgravity Experiment. This would mean all the services and technologies for those entities willing to do microgravity and space environment experimentation and testing. The focus should be on the level of services and technology enablers. Say, common communication, real-time monitoring option. Will offer centrifuge? Will offer flame safe zone? Will offer biological ECLSS solution? Will allow external payloads? How much operator's time can you offer? 2) Space Tourist/Physiological Experiments/Astronaut Training. Taking tourists is an obvious choice, and probably dedicated scientist. But NASA will want no only science operators, but actual astronauts. Probably to train them for zero-g, and that might require EVA capability (which could be supplied through the optional modules). Also, they will probably want a lot of support for experimentation and planning. So, the exercise machines will be a standard service or supplied by NASA? Will you offer customized bunks? How do you handle physical security and protect the experiment's secrets? Can you have non-US tourist where some company might be doing ITARed experiments? 3) On Orbit Assembly/Material exposure experiments. This is probably one of the most critical lines of services to think about. It might require to commit to certain technologies, like EVA or extremely capable robotic arm, and thus the decision about offering and what services to actually offer might have an extremely deep impact on the whole operation. 4) National labs/Customized Modules attachement. I've been thinking that there might be a market for customized module for certain nation states. Not only that, but it will offer some bartering options for NASA to keep doing the international cooperation. Optionally, the cooperation might be done commercially. Say that NASA has the station contractor offer a standard price for berthing port, power consumption, ECLSS services, etc. But, the national module is allowed to offer some services back, like an airlock, a robotic arm, a centrifuge, etc, at agreed upon prices. They might handle this through a credit/debit system and an agreement between national agencies to consume services in such a way as to not need to actually exchange funds. This is the sort of framework that I think would be conductive for this discussion. First to discuss services and requirements. After this analysis, if a bigelow module is the be the best or cheapest solution, great. But I don't want us to restrict us to nails because we only have a hammer. Of course that innovative con ops are also a fair topic. I love Jon's free flier idea. I had an idea about a similar technology. I thought about doing a standardized SEP tug. And have a lot of them, like ten or even a dozen. When attached to the station, they would supply power and attitude control. If you design an extension to the CBM, you could do some very dumb cargo modules. Imagine something like the Cygnus but without the bus. And have the upper stage supply some enhanced battery power and let the SEP tugs actually rendevouz with the US, capture the cargo, supply it with power, and take it and berth it with the station. This way, you would be constantly reusing the bus and the cargo compartment could be a lot cheaper. One trick would be that the standardized interface for the tug should have fuel transfer (probably Xenon). So each time a tug captures a cargo vessel, it would be refilled. The same system could be used to transfer modules. And since the tug has all the necessary prox ops and instruments, it might have enough precision to actually berth the modules and cargo vessels. The critical items would be LV upper stage batteries and attitude control (I'm guessing 24hs? ), plume impingement on the station from the tug, fluid transfer and GNC. But you'd have a lot of reliability, centralize the prox ops on one system (plus crewed crafts), scalability of power and attitude control, and could solve the big module handle problem. As I stated before, it's this sort of ideas worth discussing. About lowering cost through innovation. Yes. This is what is being funded right now excluding the tourism support. I don't see post ISS NASA funding to be any higher than $3B 2014 dollars. It will probably be lower think 2/3 budget due to yearly shaving of funds. Current crew transport to ISS US yearly budget is $360M and cargo (3 Dragon 2 Cygnis) is $860M for a total of $1.22B. By 2020 there should be possible a a 60% cost savings to NASA for this service assuming some form of reusability for crew and cargo or $720M. But Congress may also shink the budget to pay for other items. Yes I did mean $3B not $3M. Sorry about the typo. It doesnt need to be SEP. SEP is more suited for long range propultion. It will be simpler with chemical thrusters. It compliment the possibilty to integrate the PCM (pressurised cargo module) with the station. That way both parts of the cygnus becomes reusable. How many experiments are there on the ISS that don't need human interaction of some sort ? I was thinking about how you could eliminate the unpacking of the cargo modules by just leaving those experiments in a PCM module that docked with the station. But then, what is the purpose of docking with the station anyway, if everything can be handled remotely from the ground anyway. Why dock the Cygnus PCM module, if it can be a standalone lab module all by itself ? You could outfit the PCM or that other vendor's module with racks and let it go as a complete free flier to perform science missions in LEO. No permanent station required. Just fill up the available rack space on the spacecraft, and let it fly for a year. If you want your experiment back, get it from the vehicle with a heat shield. These independent free-fliers might actually make sense. Fees would be based on how much power and rack space each experiment would need. 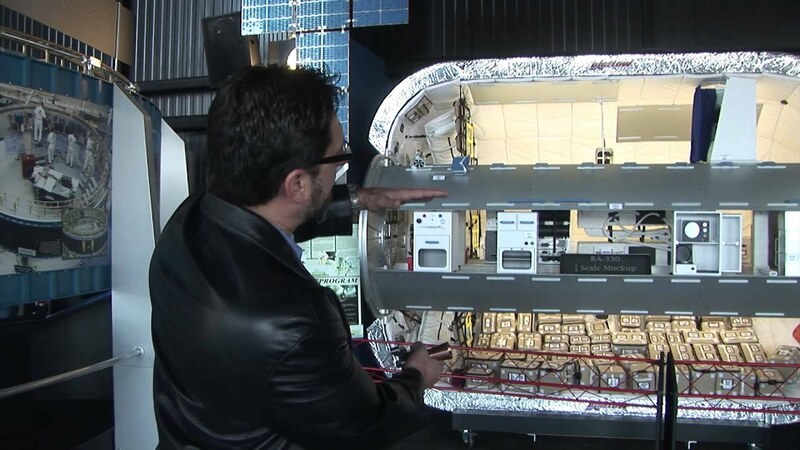 Of course, you would probably need a company like Nanoracks (not necessarily Nanoracks) to handle selling the available space to make sure it gets launched at a decent percentage of capacity. They need more data, power, cooling, video, etc than a PCM can provide. And there is hand's on trouble shooting. I think that is essentially what SpaceX envisioned with Dragon Lab (though I think it cant stay in orbit for that long on its own right now). * Mars entry, descent, and landing technology, which enables crews and supplies to reach the surface. The most mass NASA has safely set down on Mars is the car-sized Curiosity rover that landed in 2012. A crewed mission would require landing considerably more mass. * Next-generation in-space propulsion and power systems. * Planetary ascent propulsion to get crews off the surface of Mars after their mission is over. * A new environmental control and life-support system. * Habitats for crews journeying to and living on Mars. * Extravehicular activity suits, otherwise known as space suits. * Crew health. There are medical unknowns associated with long-duration spaceflight, and Mars surface activities, some of which NASA is investigating aboard the international space station in low-Earth orbit. * In-situ resource utilization, which would entail, for example, using the Mars atmosphere as a source of raw materials for life support systems or propellant. I've put in bold the one that could be developed on LEO today. As you see 50% require the ISS. I'll continue later on how this could be done with a commercial solution leveraged to lower costs.